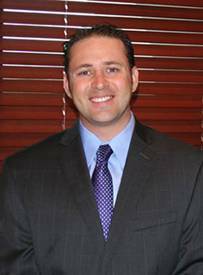 Parkland, FL – Joshua D. Frachtman has joined the personal injury law firm of Baker, Zimmerman & Perez as their newest associate. Joshua began his career defending a wide range of civil issues, with a focus on personal injury litigation. He was most recently with Cole, Scott & Kissane, P.A. in West Palm Beach. At Baker Zimmerman & Perez, Mr. Frachtman will use his extensive insurance knowledge and help clients in the areas of personal injury, wrongful death, medical malpractice and nursing home neglect. He also has extensive experience in commercial litigation, civil rights, employment law and insurance coverage matters. Mr. Frachtman, born in Plantation and a raised in South Florida, received his J.D. from Nova Southeastern University’s Shepard Broad Law Center and his undergraduate degree from the University of Florida.